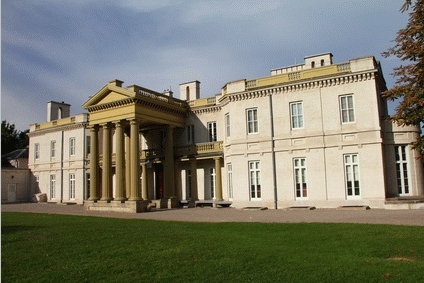 The Dundurn National Historic Site is one of Hamilton‘s most popular destinations and home to both the Hamilton Military Museum and Dundurn Castle. With extensive grounds and green spaces, it is a wonderful place for the entire family to spend a day steeped in history. The crown jewel of the site is Dundurn Castle, which was the home of Sir Allan Napier MacNab, who fought in the war of 1812 when he was just 14 years old, and who later led his own militia and received a knighthood in 1838 for his role in suppressing the Upper Canada Rebellion. He was one of Canada’s first premiers, and built this three story, forty room Regency style villa over a period of three years, finally completing it in 1835. designed by the English architect Robert Wetherall, Dundurn Castle is surrounded by magnificent gardens and some very interesting outbuildings. The word “Dundurn” means “Strong Fort” in Gaelic; the castle was built around the brick shell of an earlier colonial home belonging to Colonel Richard Beasley. The castle today has been restored to reflect the year 1855, and is completely furnished to reflect the lives of both the prominent Victorian family that reigned inside the home, and the many servants who lived and worked there. In addition to the many artifacts on display, visitors may interact with the costumed staff, who provide an added dimension of intrigue to the museum. The Hamilton Military Museum, which is just next door to the castle, contains an extensive collection of artifacts which highlight the War of 1812, the Rebellion of 1837, the Fenian Raids of 1866-1870, the Boer War, and World War I. The 1812 collection includes two original uniforms and several artifacts that date back to the war, plus digital video and sonar imagery from a 2008 underwater survey of the Hamilton & Scourge National Historic Site, which is an intact, upright shipwreck sitting 90 meters beneath the waters of Lake Ontario, just over 10 km offshore from Port Dalhousie. A time capsule of 19th century Great Lakes naval life, this is well worth a trip to the museum all by itself. Additional memorabilia include the ornamental sabre which was presented to Allan MacNab himself during the rebellion of 1837, plus pattern officers’ swords dating back to the Fenian Raids. RCMP uniforms and memorabilia are on display too, and so are uniforms, temporary grave markers, and a trench mock-up from World War I. The Dundurn Historical Site offers a number of different programs and cultural experiences throughout the year, including living histories, arts and crafts demonstrations, and a well-appointed gift shop where visitors can find everything from crafts handmade in Canada to simple souvenirs. Located at 610 York Boulevard across from the Hamilton Cemetery and bounded by the Waterfront Trail, the site is open daily between June 30 and Labour Day, between 11 a.m. and 5 p.m.; between Labour Day and June 29th, it is open Tuesday through Saturday between 1 and 5 p.m. Operated by the City of Hamilton, Dundurn Castle is open for private tours by arrangement, as well as to the general public.